I had the absolute honor to help a little angel, Abigail Dudley, on her healing journey. 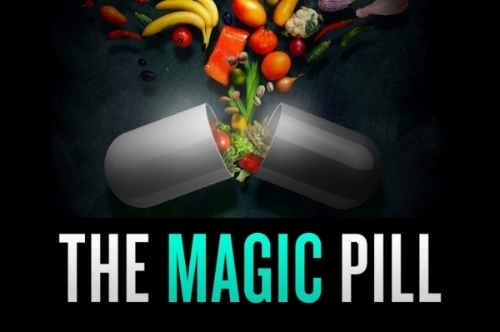 She was one of those featured in the documentary, The Magic Pill. Check out the trailer here: https://www.youtube.com/watch?v=61GitUC_678 and watch the full documentary on Netflix. I was a guest on Dr. Pat's Lyme Talk Radio show on March 9, 2016. I discussed the GAPS Diet and how it can help people suffering with Lyme Disease and other chronic conditions, by "healing and sealing" the intestinal lining. I am a featured speaker on the Chronic Lyme Disease Summit airing April 4-11, 2016. I discuss my Lyme story and how the GAPS Diet helped me, as well as many of my clients. The talks are FREE to listen to during that week. You may also purchase the whole summit so you can listen at your convenience. I was blessed to be in the shadows of such giants as Dr. Richard Horowitz and Dr. Lee Cowden, renown Lyme experts. Fabulous information for anyone suffering with Lyme.